Prior to Senate Bill 57, which went into effect on January 1, 2016, the Illinois Marriage and Dissolution of Marriage Act allowed for custody to be allocated either solely or jointly (formerly entered into as Custody Judgments and Parenting Agreements). When a parent received sole custody, the other parent was entitled to child visitation, or set time to spend with his or her children. In addition, the law distinguished between legal custody, which gives the parent the right to make decisions regarding the child, and physical custody, which refers to where the child lives. In order to make a custody determination, courts took into account the best interests of the child by considering established, relevant factors. According to Senate Bill 57, rather than making custody determinations, the court will be making determinations regarding parental responsibility. 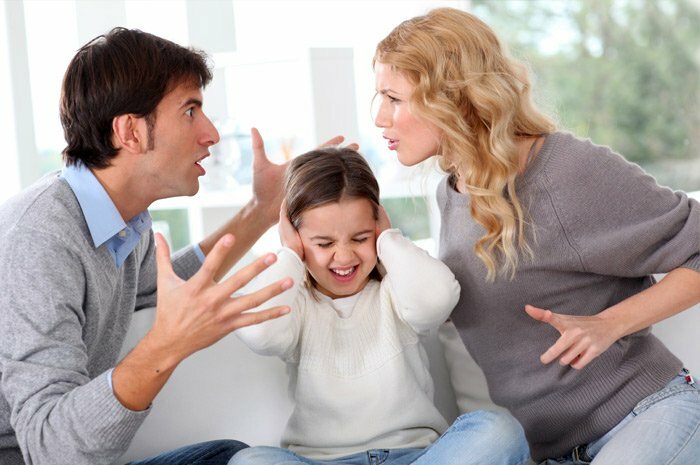 The law defines parental responsibility as including two factors: decision-making responsibilities and parenting time. The concept of “decision-making responsibilities” replaces the concept of legal custody and allocates the right to make decisions in four different areas to the parents. A parent may be entitled to make decisions in all four areas of the child’s life, or the court may determine that each parent is responsible for different areas. The statute requires parental responsibility to be allocated regarding decisions about the child’s education, health, religion, and extra-curricular activities. “Allocation Judgment” means a judgment allocating parental responsibilities. “Caretaking functions” means tasks that involve interaction with a child or that direct, arrange, and supervise the interaction with and care of a child provided by others, or for obtaining the resources allowing for the provision of these functions. The term includes, but is not limited to, the following: (1) satisfying a child’s nutritional needs; managing a child’s bedtime and wake-up routines; caring for a child when the child is sick or injured; being attentive to a child’s personal hygiene needs, including washing, grooming, and dressing; playing with a child and ensuring the child attends scheduled extracurricular activities; protecting a child’s physical safety; and providing transportation for a child; (2) directing a child’s various developmental needs, including the acquisition of motor and language skills, toilet training, self-confidence, and maturation; (3) providing discipline, giving instruction in manners, assigning and supervising chores, and performing other tasks that attend to a child’s needs for behavioral control and self-restraint; (4) ensuring the child attends school, including remedial and special services appropriate to the child’s needs and interests, communicating with teachers and counselors, and supervising homework; (5) helping a child develop and maintain appropriate interpersonal relationships with peers, siblings, and other family members; (6) ensuring the child attends medical appointments and is available for medical follow-up and meeting the medical needs of the child in the home; (7) providing moral and ethical guidance for a child; and (8) arranging alternative care for a child by a family member, babysitter, or other child care provider or facility, including investigating such alternatives, communicating with providers, and supervising such care. “Parental responsibilities” means both parenting time and significant decision-making responsibilities with respect to a child. “Parenting time” means the time during which a parent is responsible for exercising caretaking functions and non-significant decision-making responsibilities with respect to the child. “Parenting plan” means a written agreement that allocates significant decision-making responsibilities, parenting time, or both. “Relocation” means: (1) a change of residence from the child’s current primary residence located in the county of Cook, DuPage, Kane, Lake, McHenry, or Will to a new residence within this State that is more than 25 miles from the child’s current residence; (2) a change of residence from the child’s current primary residence located in a county not listed in paragraph (1) to a new residence within this State that is more than 50 miles from the child’s current primary residence; or (3) a change of residence from the child’s current primary residence to a residence outside the borders of this State that is more than 25 miles from the current primary residence. “Religious upbringing” means the choice of religion or denomination of a religion, religious schooling, religious training, or participation in religious customs or practices. “Significant decision-making” means deciding issues of long-term importance in the life of a child. As previously mentioned, the law defines parental responsibility as including two factors: decision-making responsibilities and parenting time. If the parents’ reach an agreement on a parenting plan then it must be in writing and signed by both parents. The parents must submit the parenting plan to the court for approval within 120 days after service of a petition for allocation of parental responsibilities or the filing of an appearance, except for good cause shown. Notwithstanding the provisions above, the parents may agree upon and submit a parenting plan at any time after the commencement of a proceeding until prior to the entry of a judgment of dissolution of marriage. The agreement is binding upon the court unless it finds, after considering the circumstances of the parties and any other relevant evidence produced by the parties, that the agreement is unconscionable. If the court does not approve the parenting plan, the court shall make express findings of the reason or reasons for its refusal to approve the plan. The court, on its own motion, may conduct an evidentiary hearing to determine whether the parenting plan is in the child’s best interests. If the parents cannot reach an agreement on a parenting plan and fail to submit an agreed parenting plan, each parent must file and submit a written, signed parenting plan to the court within 120 days after the filing of an appearance, except for good cause shown. (15) any other provision that addresses the child’s best interests or that will otherwise facilitate cooperation between the parents. The court shall conduct a trial or hearing to determine a plan which maximizes the child’s relationship and access to both parents and shall ensure that the access and the overall plan are in the best interests of the child. The court shall take the parenting plans into consideration when determining parenting time and responsibilities at trial or hearing. The filing of the parenting plan may be excused by the court if: (1) the parties have commenced mediation for the purpose of formulating a parenting plan; or (2) the parents have agreed in writing to extend the time for filing a proposed plan and the court has approved such an extension; or (3) the court orders otherwise for good cause shown. The court can require the parties to attend mediation with a mediator, who is a neutral third party who tries to help the parties reach an agreement. The mediation process is used to assess each parties’ position in terms of ther minor child(ren). If an agreement still cannot be reached, then the Court can appoint certain professionals to aid in the final determination. (2) Guardian ad litem. The guardian ad litem shall testify or submit a written report to the court regarding his or her recommendations in accordance with the best interest of the child. The report shall be made available to all parties. The guardian ad litem may be called as a witness for purposes of cross-examination regarding the guardian ad litem’s report or recommendations. The guardian ad litem shall investigate the facts of the case and interview the child and the parties. (3) Child representative. The child representative shall advocate what the child representative finds to be in the best interests of the child after reviewing the facts and circumstances of the case. The child representative shall meet with the child and the parties, investigate the facts of the case, and encourage settlement and the use of alternative forms of dispute resolution. The child representative shall have the same authority and obligation to participate in the litigation as does an attorney for a party and shall possess all the powers of investigation as does a guardian ad litem. The child representative shall consider, but not be bound by, the expressed wishes of the child. A child representative shall have received training in child advocacy or shall possess such experience as determined to be equivalent to such training by the chief judge of the circuit where the child representative has been appointed. The child representative shall not disclose confidential communications made by the child, except as required by law or by the Rules of Professional Conduct. The child representative shall not render an opinion, recommendation, or report to the court and shall not be called as a witness, but shall offer evidence-based legal arguments. The child representative shall disclose the position as to what the child representative intends to advocate in a pre-trial memorandum that shall be served upon all counsel of record prior to the trial. The position disclosed in the pre-trial memorandum shall not be considered evidence. The court and the parties may consider the position of the child representative for purposes of a settlement conference. In deciding whether to make an appointment of an attorney for the minor child, a guardian ad litem, or a child representative, the court shall consider the nature and adequacy of the evidence to be presented by the parties and the availability of other methods of obtaining information, including social service organizations and evaluations by mental health professions, as well as resources for payment.